3 SNIPPETS FROM "AVRIL LAVIGNE"
Listen to short clips from "Sippin' on Sunshine", "Give You What You Like" and "Let Me Go" feat. Chad Kroeger! Which one do you like the best? 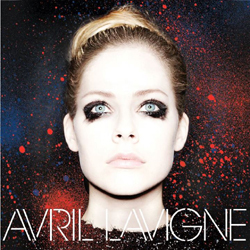 Avril's voice sounds SO strong! Today (September 27) is Avril Lavigne's 29th birthday! On behalf of all of your Little Black Stars, we wish you all the best in health and happiness, and will continue to love and support you every step of the way. This year we have the unique opportunity to give Avril a birthday present. Donate any amount to The Avril Lavigne Foundation and be entered to win a trip to NYC at the same time! Everyone can participate and donate, so do something good and support a great cause! More info about how to donate here. INTERVIEW AVRIL IN NEW YORK CITY! Sony Xperia and Android are giving Avril's fans an opportunity to win a trip to New York City to interview her at the album release party on November 5th! Find out more here. Really great interview. A must watch! Some behind the scenes insights on "Bad Girl", "Give You What You Like", "Hello Kitty" as well as some funny moments. Avril was out at City Walk in LA today filming a performance and interview for Extra TV. It will air on Friday. Avril looks GORGEOUS and sophisticated in her green leather dress. Target will have an exclusive version of Avril's "AVRIL LAVIGNE" album (which means BONUS TRACKS), and they want us fans to help pick the album cover! Vote here for the cover that you like the best. I like the one with the white writing. EDIT 2: The blue cover won. 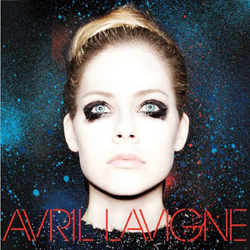 Avril Lavigne's 5th album, "AVRIL LAVIGNE", is officially up for preorder! Click here to preorder the digital version on iTunes, and here to get a physical copy through Amazon (check your local Amazon for the best local country information). 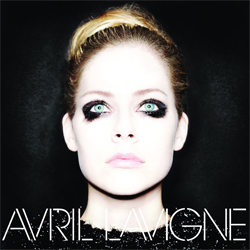 AVRIL LAVIGNE will be relesed on November 5. Avril is in Las Vegas, performing as part of the iHeartRadio music festival. She performed with dancers, the infamous bearshark, and a new band (new member include Dan Ellis and David Immerman).